America’s romance with dividends may be coming to an end. Investing in dividend-paying stocks has been a proven diversification strategy. Typically considered a conservative approach, it rewards patience with a periodic (quarterly) payments. The best companies have been paying dividends for decades, some for over 100 years, with periodical increments of dividend amount. Dividends can amount to significant and steady stream of income, provide financial balance and security, and for the past decade enjoyed a relatively very low tax rate. The current talk about dividends (whenever the term “fiscal cliff” comes up) is related to the fact that they are once again scheduled to be taxed at ordinary personal income tax rates, significantly diminishing their financial appeal. Tax rates on dividends fluctuated over time and ranged from zero (completely exempt) to fully taxable at individual’s personal income tax rate. The current rates have been in place since 2003 when President George W. Bushed signed into law the Job and Growth Tax Relief Reconciliation Act of 2003 (JGTRRA) effectively reducing the full taxation of dividends to 15% (and 5% for tax payers who fell into the two lowest tax brackets). The 2005 Tax Increase Prevention and Reconciliation Act of 2005 (TIPRA) extended the benefits of 15% tax on dividend income enacted by JGTRRA, and took them even further for the individuals falling into the two lowest tax brackets, eliminating taxes on dividends completely. The final extension of these lowered taxes on dividends took place in 2010 when Tax Relief, Unemployment Insurance Re-authorization, and Job Creation Act was signed into law by President Barack Obama. This piece of legislature is expiring at the end of 2012 essentially ending lower tax rates of income obtained from dividends. We can expect two major changes for personal income generated in 2013. First of all, income tax rates will go up leaving less in our pockets. Secondly, tax rates on dividends will be fully taxable once again. The former change will affect everyone and we could only debate who got the short end of the stick. As far as dividends, this situation seriously affects portfolios of millions of Americans. Regardless of what you paid in taxes on dividends in the past, the new rates make it a more expensive investment. Combining it with the real possibility that many individuals may withdraw money form dividend-paying stocks and invest them elsewhere create a situation where those type of stocks suffer declines in the coming months or years, increasing their overall risk. It is now the time to plan for the next year and meet with a financial planner (or make a decision if you don’t have one) and rethink your investment strategy. The upcoming Fiscal Cliff will might give a jolt to personal finance of many and if you focus just on dividends make sure you understand all implications of your decisions. 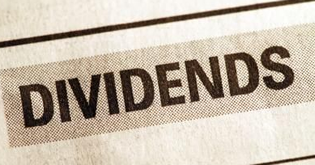 If taxes on dividend income increase, their appeal will diminish but it doesn’t necessarily make them a bad long-term investment. Are higher tax rates on dividends a done deal? Given the upcoming presidential elections, changes to the policy are possible. Congress still has some time to act, but it appears that we should prepare for return of higher taxes on all forms of income across the entire population. Even if current tax breaks expire, it is plausible to see future easing. The policymakers will monitor the economic situation that will ultimately determine whether or not the changes are needed. The chart of dividend income tax for the last 100 years looks like a roller coaster and there is no doubt that we can expect more changes in the coming years.